The world of medicine is changing incredibly fast, new diseases and drugs, new services and expectations, it’s not easy to stay updated, to complement experience with the very latest knowledge and techniques. 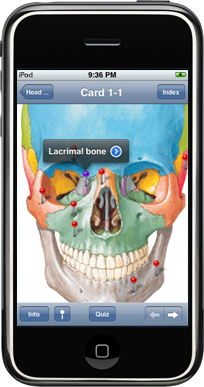 This is where Epocrates comes in … as simple as an app on the doctor’s phone or tablet. Epocrates develops mobile solutions for healthcare, giving professionals instant access to the world’s most comprehensive knowledge source of symptoms, diagnostics and responses, as well as managing their own time and business. Be invaluable … “We want to help clinicians save time, money and increase patient satisfaction – this means making an intuitive product that helps answer questions, instead of making more. Epocrates has over 300,000 U.S. physicians and over 1 million members worldwide using its products”. Think like a doctor … “Our amazing design and development team is complemented by a group of in-house physicians, nurses, pharmacist and other healthcare professionals that work together to deliver our products. By balancing out clinician needs with developer constraints, we ensure our products meet the bottom line: help healthcare professionals be more efficient”. Solve a problem … “When Epocrates was first developed, we saw a need for physicians to instantly access information at the point of care. As the market was trying to create a more concise PDR, we ditched the paper and moved to the PDA. To be ahead of the curve, solutions should be developed with long-term goals in mind, not just shot term fixes”. AthenaHealth acquired Epocrates for $293 in 2013, making it the leading mobile knowledge platform for doctors, partly attracted by the high brand recognition of Epocrates with over 90% of US physicians. Athena previously specialised in processing insurance claims and patient payments, and will now also stretch into prescribing drugs and storing patient records.